Faction Warfare, abbreviated FW, is where you will find some of the most chaotic PVP in New Eden, and the Gallente/Caldari warzone is the best place to get stuck in. This melting pot of pilots is home to two formidable militias as well as a number of pirate powerhouses. It is also possible to fight in the Amarr/Minmatar war, but given the state of that warzone nowadays you might find yourself starved of fights. In any case, if you’ve just joined, I can’t think of much of a better place for you to start your Eve career. Here I hope to give a well-rounded look at the warzone today and talk about how just about anyone can have an impact on the tide of war. The Gallente Militia has historically been the dominant force in the warzone, it hasn’t always been the case though. Every now and then we start to see the balance of power slip in either direction towards a new ‘era’ of control. I don’t believe for a second that the amassed forces of this militia could lose grip on the slope; as a member of Villore Accords, I’d certainly hope not anyway. From a lore perspective, many see the Gallente as the freedom fighters of New Eden, as the brave people fighting for liberation against a cold and corporate nation. In reality, though it’s much more of a sibling rivalry where they present the more culturally sensitive and liberal side to the conflict. Tarek wrote up a fantastic series a while back, detailing the rise to power from both sides, check it out if you really can’t decide who the good guys are. For an alpha clone signing up on this side today, you can expect to join in with a flurry of activity in defending their regions against a steadily advancing horde. There’s certainly fun to be had here and any new recruit will find themselves amongst some of the best fleet commanders and teachers in the area. Approaching silently on the horizon, the Caldari Militia have recently been flipping off the light bulbs that have been long-standing Galmil owned systems. Since Ascension, it has certainly seemed like they’ve attracted more of an alpha clone uprising to fight for the State Protectorate. With careful planning, it looks like this old golem is creaking to life again. You have to consider that maybe we can’t look at them as much of an underdog anymore. In contrast to the Federation, lorewise the Caldari State is very much a traditionalist society, they take offence to those who may try to impress their culture upon them. It’s for this reason that the Caldari originally held such hostile views towards their Gallentean rivals. At the end of the day they hold their own culture and ideals close at heart and that’s held dear above all. It’s interesting how this cultural difference has developed into the rabid conflict we see today. To enlist with the State Protectorate is to fight for an organisation on the rise with a clear objective in mind. Whether or not they’ll be successful, we’ll see in time. With the influx of newbros in my fleets recently I’ve noticed so many of the same questions cropping up, and for good reason! The entry into FW isn’t necessarily a gentle one and while the mechanics are simple, they won’t be obvious unless you’ve swung around this way before. To avoid turning this into a 20-page long wiki article, I do recommend the Eve Uni Faction Warfare page or Niden’s older articles for an in-depth look at everything there is on offer. Do note however, that enlisting with a particular faction will affect your standings for the opposing faction negatively. It may be the case that some time down the line you look over and realise that you are locked out certain missions and the faction police want your blood in their hisec. That being said, let’s dive in with a summary. The first thing that you need to know is that each system is controlled by either of the two warring nations, in this case either the Gallente or the Caldari. The primary function of owning a system is to give your side docking access to that system’s stations. Without control, you will simply be denied and any assets inside will be inaccessible unless you leave the militia or take back the system. There are more benefits to owning many systems, but that goes beyond the scope of what you need to know right away. The way systems are taken is by seizing control of capture points, known as complexes (or plexes for short). These are the beacons named such as ‘Gallente Novice Outpost’ that you may have seen on your overview or probe scanner. These ‘plexes’ come in four different flavours, flavors that you’ll find that depending on your ship class you may only fit those of a particular size or above. This serves as a balancing tool so that you don’t end up fighting a battleship in your little frigate for example. Warping to the beacon and taking the acceleration gate will place you into one of these special pockets of space which acts a little like a ‘king of the hill’ or ‘tug-of-war’. As long as your ship is parked inside and close-by the entrance, you will count-down a timer to capture it for your faction. Be aware that if you are attacking a system, the NPC will be hostile and must be eliminated upon entry. Each small victory here will push the contested meter your way just a little bit and bring you closer to the next stage of assault. Once the system reaches 100% contested, it will enter a vulnerable state during which time you are able to attack that system’s Infrastructure Hub. This large structure will take a medium sized fleet directing their firepower to damage it. Once enough damage is applied, it will ‘flip’ the system and upon next downtime, your faction will gain control. Now while these mechanics are easy enough to understand, they are used on a vast scale across dozens of solar systems. To attempt to tackle all of this as just one pilot is ludicrous, anyone who wants to get involved needs to become a part of a player corporation. The best advice I can give there is to simply take a frigate into the warzone and just find people! Eve is a social sandbox and if you shake a stick hard enough, you’re sure to find enemies and allies alike. I will also note that if nothing else you may want to look into names such as The Vomit Comets or Aideron Robotics on the Gallente side. Alternatively, Black Shark Cult or Conoco for the Caldari. If all else fails and you do decide to join alone, you may do so from one of the faction controlled stations in lowsec. Simply select the ‘Militia Office’ from that station services panel while docked and enlist! There are countless ways through which even a capsuleer fresh out of the new player experience can begin to push for victory in the factional warzones. Arguably the best starting point is always going to be getting stuck right in and learning as you go. The mechanics of FW mean that anything which disrupts the enemy faction is ultimately useful to the whole. I can think off the top of my head of several cases where young pilots or alt-character corporations have shifted the power balance purely while they strive to earn ISK out here. As previously described, capturing complexes of all sizes is at the heart of FW combat. These pockets of space act as content drivers; if you sit in one long enough then you will find a fight, especially in the more populated central systems. Given the rules enforced in ship sizes, it should usually be a fair fight; one in which either attacker or defender could be the victor. For your first foray into FW I recommend taking every fight you can, following the age-old Eve advice that losing ships is the only way to move forwards. It’s important to learn that anything you buy or are given is a non-permanent asset and you will lose it. Fundamentally the same as plexing in that you are looking for combat, but to roam is to move about and actively hunt for it. In this scenario, you will become the attacker in a plex, the one who slides down an acceleration gate in hope to destroy whatever is inside. There are so many interesting videos out there which will teach you how to do this. Do some research and get questions answered by corpmates and you can rack up kills with even the cheapest of handout ships. The quintessential Eve experience is going to involve joining up with your fellow militiamen in a group activity. The vast majority of fleets will involve being on Teamspeak or Mumble amongst others while a Fleet Commander (FC) directs the gang towards a pre-chosen objective. As an alpha clone, you may find that you have to be placed into a support role such as scout or electronic warfare (EWAR) due to skill requirements. It’s not at all a less worthy position however; as an FC myself I will always welcome the extra help if available. Even in large scale battles, the tracking bonus from a target painting support ship could be all the capital ships need to hone their weapons onto the primary target. 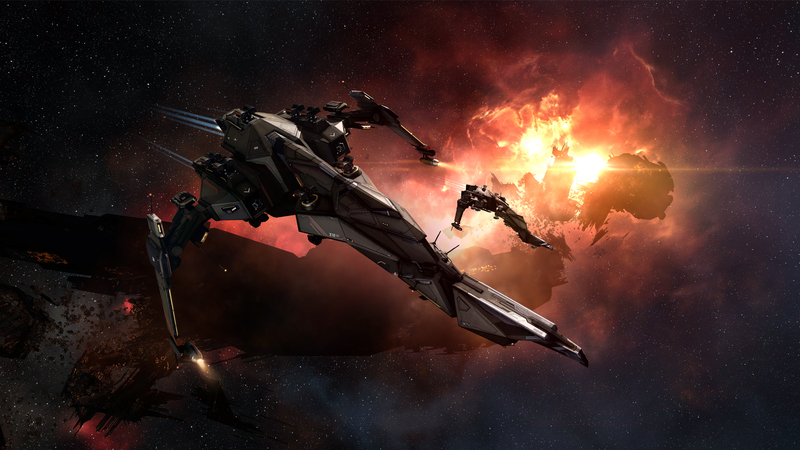 It might also be that the one extra scout we have who calls and tackles a ship worth billions of ISK. In a way, Faction Warfare is a playground. I originally joined up with Villore Accords in hope to just have a bit of fun on the side while I spent most of my time in wormhole space. It’s certainly provided that, the fights are to be had an instant after undocking and if you stick around long enough, maybe you’ll love it too and end up staying longer than you had planned.